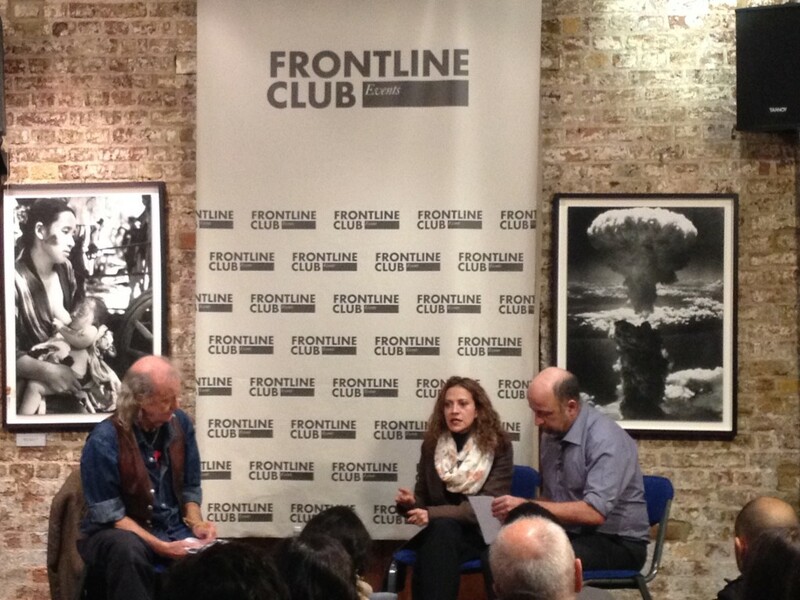 On Wednesday 4 December the Frontline Club welcomed Jineth Bedoya Lima, a journalist with Colombian national newspaper El Tiempo and recipient of the 2012 International Women of Courage Award, to discuss her prolific journalistic career and work in combatting violence against women. The discussion, chaired by The Guardian’s Ed Vulliamy, largely focused on the “habitual, extensive, and systematic violation” of women in Colombia, the record levels of impunity for crimes of sexual violence, and Colombia’s peace process. She later added that “the bodies of women are weapons in all wars”. Bedoya Lima closed the discussion with mention of her recent victory in drawing up an agreement with the Colombian Football Federation, in partnership with the UN, forcing footballers to publicly denounce crimes of violence against women, in order to raise awareness amongst Colombia’s male population. The ABColumbia report, entitled Colombia: Women, Conflict-related Sexual Violence and the Peace Process, is available for download here.